After a very relaxing festive period, all of us here at Birnam CD are primed, ready and looking forward to 2017. The year just gone was our 30th year as a business, and also our most successful year to date. To flag up just a few of last year’s milestones, we produced and delivered a record amount of CDs, DVDs and vinyl, made more tracks and albums for more artists than ever before available for downloads and streaming, launched a host of new services, overhauled our website and saw our (now expanded) promotional packages have their most popular year to date. 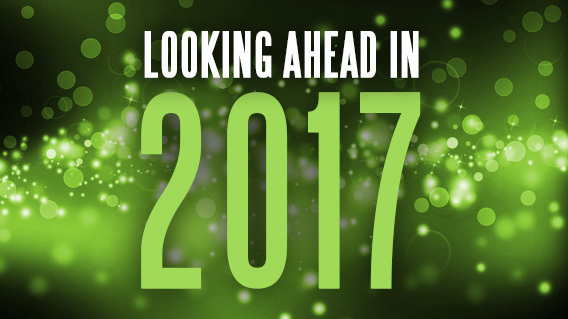 Now we are looking ahead to further progress in 2017. An awful lot of the artists we have worked with have already confirmed that 2017 is going to be a very busy year. Here are just a few events we are currently eyeing up…..
Just round the corner is the world-renowned Celtic Connections festival. Last year, we delivered 16,000 CDs to a range of artists in time for their album launches at the festival. This year, the number of CDs being delivered is already up there (and we aren’t done yet). As always, we are looking forward to heading to Glasgow to attend a number of album launches, events and concerts throughout the festival. The full list of Birnam clients performing is – as in previous years – too huge to fit into a humble blog post, but we will be providing extensive coverage of what they are all up to at the festival through our social media channels on Facebook, Twitter, Pinterest and Google+. Further down the line, the Scottish music scene in 2017 remains as rich and far-reaching as ever. TradFest returns to Edinburgh at the end of April and spills over into early May, providing some fantastic concerts and great networking opportunities. In May, the Orkney Folk Festival celebrates their 35th year, with Eddi Reader and Flook amongst the acts already confirmed. June sees Skerryvore’s “Oban Live” return for its second (well, technically third, but who’s counting?) year, with one of Scotland’s most renowned bands again joined by We Banjo 3 and Skipinnish, with many more acts yet to be announced. Out on the beautiful Isle of Lewis, HebCelt will be back in July, and already have Dougie Maclean, Skerryvore and Peatbog Faeries confirmed to appear. August brings two of Scotland’s most popular events with Belladrum Tartan Heart Festival, and the incomparable (and often inexplicable) Edinburgh Festival Fringe. Of course, all of these events are just a drop in the ocean when stacked up against the full wealth of Scotland’s music scene. Be sure you get out there and enjoy what Scotland has to offer in 2017. As for Birnam CD, we have no intention of slowing down. We are working on several exciting new projects and services to roll out over this coming year. Unfortunately, we’ll have to keep tight lips for now, but expect to see some big announcements from us in 2017. Or, better still, sign up to our newsletter here and have news of new developments delivered straight to your inbox.